A spectacle famously described as “the most enchanting cave experience in the world”. Perhaps the biggest challenge for any potential visitor. A fusion of sublime beauty, supreme tranquility, and an almost magical aura. A small entrance of about 2.5 meters wide and 1.5 meters high was created in 1884 by blasting off part of the rock. Just like special effects from a movie set, the entire cave is bathed in a radiant aqua-bluish glow. On the quaint Croatian island of Bisevo lies a spectacle famously described as “the most enchanting cave experience in the world”. This cave (popularly referred to as the Blue Cave) is the epitome of awe, inspiration and wonder. It is nature at its finest – a fusion of sublime beauty, supreme tranquility and an almost magical aura. It fascinates. It excites. It entrances. And, above all, it enchants. It offers one of those moments, which, in the words of Maya Angelou, “take your breath away”. What makes the Blue Cave special is a natural phenomenon that occurs in it every day. The waters transform into a glorious, awe-inspiring aquamarine color. 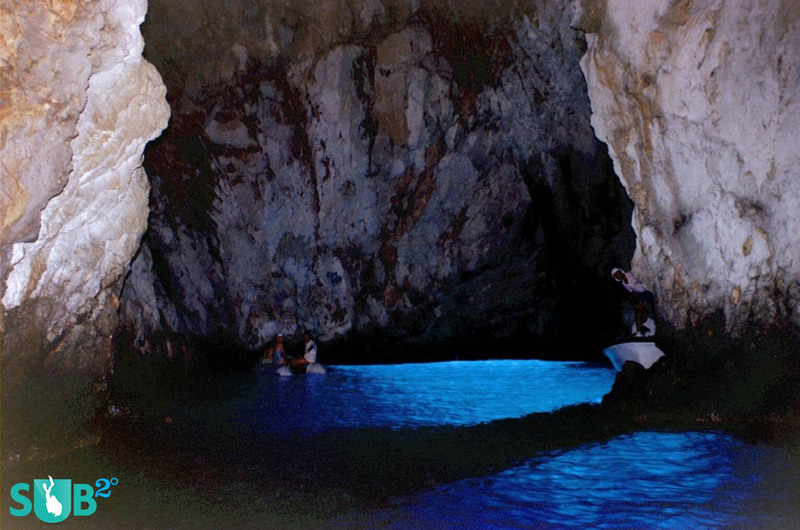 As if by special effects from a movie set, the entire cave is bathed in a radiant aqua-bluish glow. Anything on the surface of the water takes on a silvery appearance. The entire cave exudes a surreal, otherworldly atmosphere. And then, like the departure of royalty, the aura slowly fades away, leaving any spectators hungry for more. The spectacle is played out every day, with the best part taking place between 11am and 12am local time. According to scientists, the phenomenon arises from the reflection of sunlight on the white floor of the cave. The sunlight comes in through a submarine-like opening on the roof of the cave. As it is reflected off the cave, it bathes the cave in a beautiful aquamarine light. 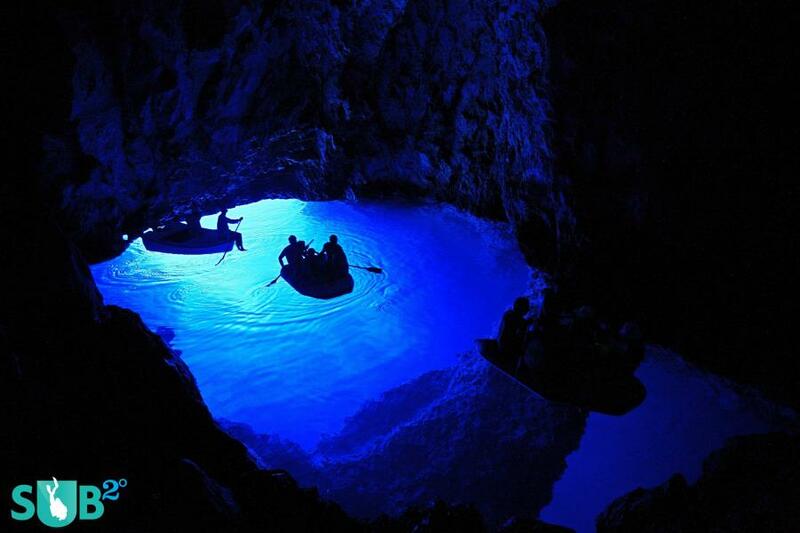 This is what causes the awe-inspiring blue color on the water and magical atmosphere in the cave. How And When Was The Cave Discovered? Explorer, painter and adventurer Baron Eugen von Ransonnet first discovered the Blue Cave in early 1880s. 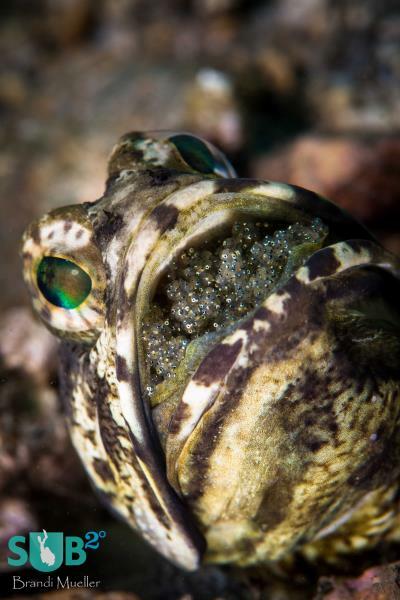 He stumbled upon it during a diving expedition, and was immediately captivated by it. By then, the cave was only accessible by diving because its only natural entrance was below sea level. The Baron suggested that an artificial opening be made to enable small boats to access the cave. A small entrance of about 2.5 meters wide and 1.5 meters high was created in 1884 after blasting off part of the rock using dynamite. It is through this entrance that people can access the cave. The Blue Cave is the perfect destination for anyone who appreciates the finer aspects of nature. It is especially perfect for anyone who is seeking peace, tranquility and relaxation. 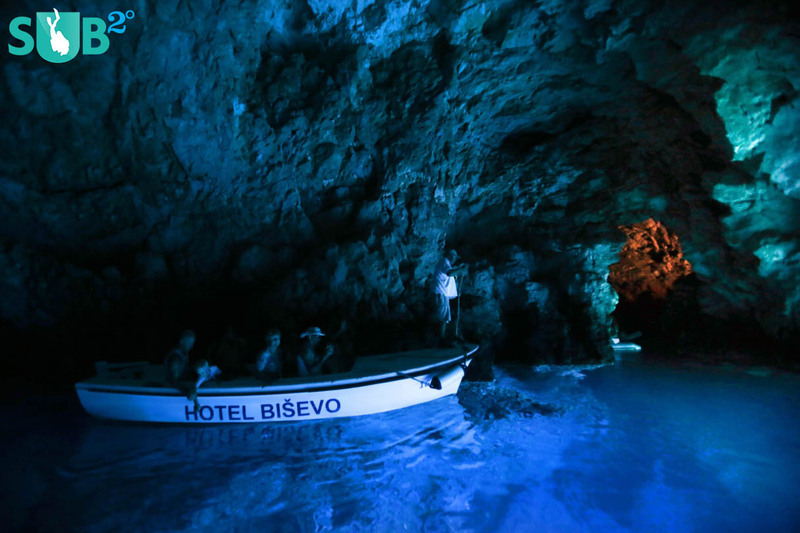 Most people who visit the cave do so as part of a wider exploration of Bisevo Island. This island is endowed with numerous other caves, many of which offer fantastic opportunities for scuba divers. The island is also renowned for its friendly inhabitants, sumptuous delicacies and a rich wine tradition. 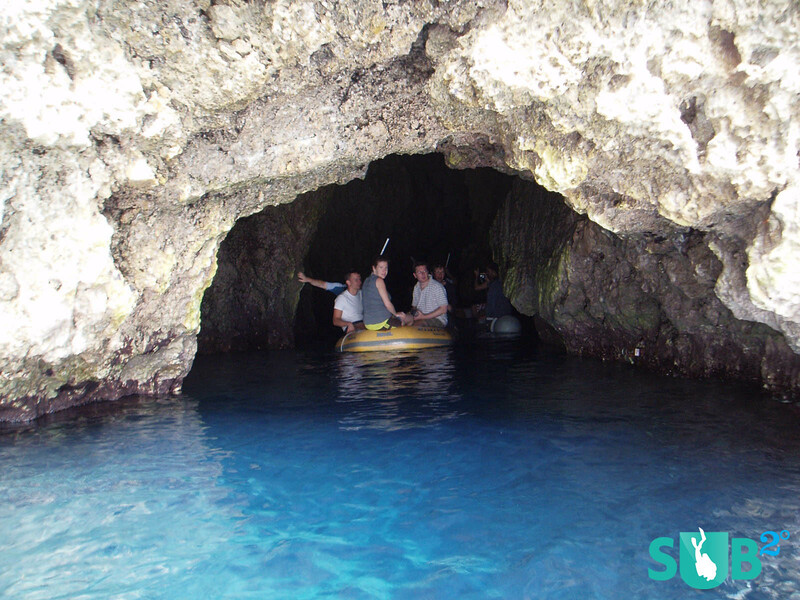 Visiting the Blue Cave can simply be the highlight of an otherwise glorious excursion to the island. Travelling to the Blue Cave is perhaps the biggest challenge for any visitor. A typical journey is a three-step process. The first step takes you by ferry from the Croatian city of Split to Vis Island. The second step is by bus or motorcycle and involves moving from Vis port to the tiny fishing town of Komiza (you can find the local bus table Vis - Komiza here) . At Komiza, you can hire a boat and take the final one-hour journey to the island of Bisevo. The best way to shorten the journey is to rent a boat from Split and sail directly to Bisevo. This journey can take one through some exquisite touristic spots thus adding extra excitement to the excursion. There are many charter companies that offer attractive boat and yacht rental services, which any potential tourist can benefit from. However, whatever travel option you choose, a visit to the Blue Cave will be more than worth the effort. 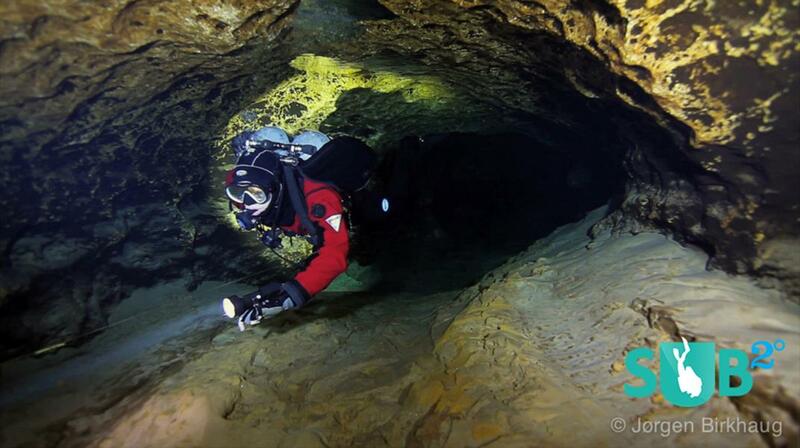 Can the Blue Cave be visited as part of the last two open water dives in the Padi Open Water (referral) course? I have completed my training in the Netherlands until this point and "just" need to do two open water dives on my holiday to Croatia (Hvar). Can you give me any directions please? Can the Blue Cave be visited as a part of the last two dives in my Padi Open Water (referral) course? I have completed Padi Open Water until this point and would like to do the two last open water dives at my holiday in Croatia (Hvar). 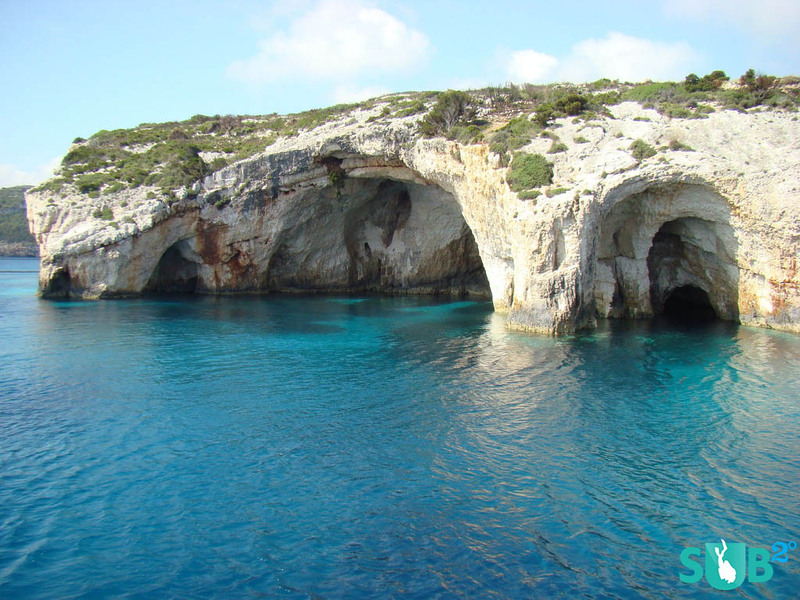 As it is possible to enter the cave by boat, should it considered open water or still as cave diving. Could you give me some directions please? 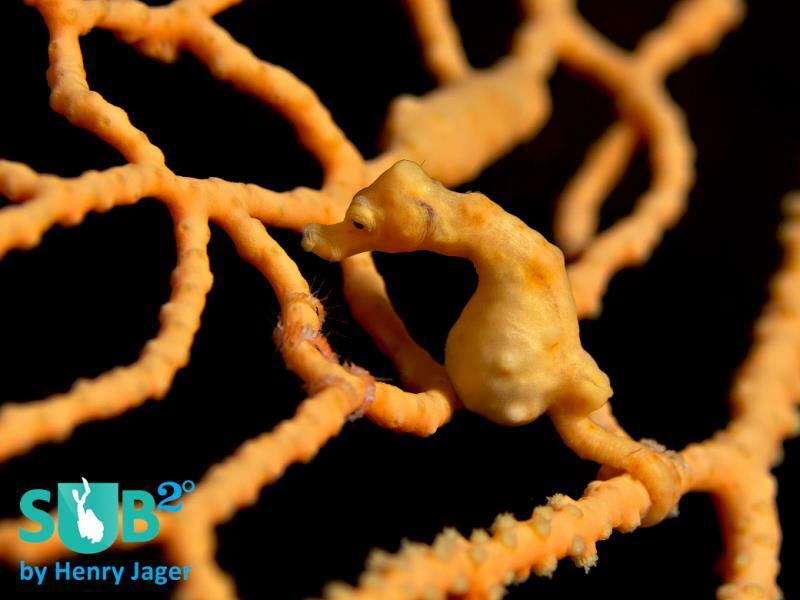 One of the world's top places for tiny critters is located in the Philippines: Cabilao! It's a small, quiet island surrounded with beautiful reefs. A place to relax and dive. North America's muck diving. The weird and wonderful, under Florida's Blue Heron Bridge.